Why on Earth did September seem like it never ended, yet October has come and gone in a flash!? I feel like it still is September, but it’ll be November already next week! To freak you out even more, that means we only have 2 more months let of 2016! I hope you have long accomplished those goals you set 😉 Or, you know, “yearly wishes” in my case! I’m not really sure how I even feel about 2016; I’ll think about it more when the actual time come! Now, can we take a step back here and breathe one big sigh of relief? #1 midterms are over (although, finals are just around the corner…), #2 Strength and Sunshine isn’t in surgery anymore! You probably weren’t even able to read last week’s Friday Finisher and I experienced the most stressful 48 hours of my life. The thing was, Strength and Sunshine is growing up, after 3.5 years, she needed a new host and server, which we now proudly have! I’m holding Strength and Sunshine tight to my chest right now. This poor baby (okay…and me) went through our scariest moments! But we live! I plan on celebrating this weekend with some much needed cooking, relaxing, and some scary movie watching for Halloween on Monday! No studying, no midterms, (update: JK! I have a huge 4 page assignment due Tuesday…) just chilling is allowed! Have a great weekend, gluten-free foodies! Getting over the starting line. I’m in love with #6! + Why Don’t You Want To Get Sh*t Done? The end of artificial colors is here! This little boy is a gem! How food production should be! + Should The Food Industry Sneak Vegetables Into Food? No, actually. They shouldn’t. There is nothing to “hide”. I finally have one in the area down here at school. I went in a few weeks ago to finally see the hype…went down 2 “aisles” and walked out. A little overwhelming in a way. What do you Aldi people like to buy there? Well, I don’t know why you would have leftover peels, but if you do…these are genius! Because they will never be able to define it. Very relatable to my research class! We hold the power! Now it’s just time for them to realize! I’m sure you’ll find some helpful advice here! No one should be doing something for no reason! I’ll get on that…one day. I’m pretty in love with the 60s and the flooring cut-out! This website! I should be on it! This is why I never wanted to pursue it as a career. The reality of the “afterwards” is never discussed. Pumpkin Pecan Cobbler Cake. What a sweet seasonal joy! 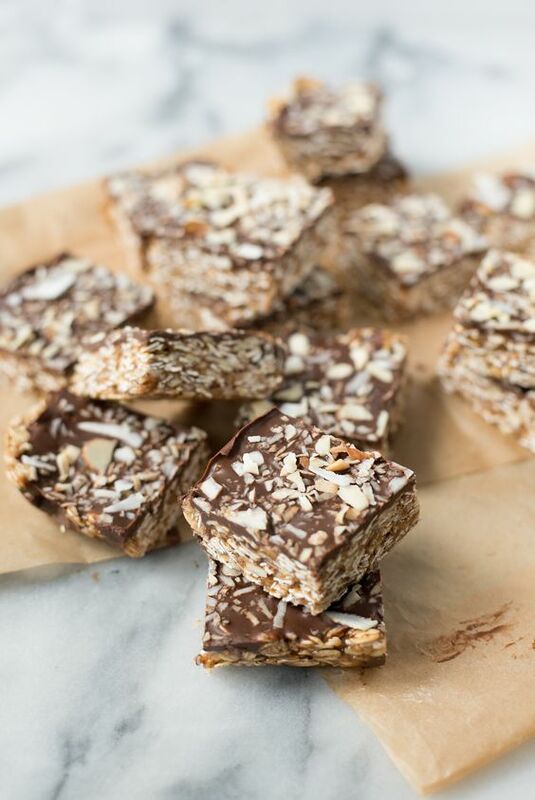 Almond Joy Granola Bars. My favorite! 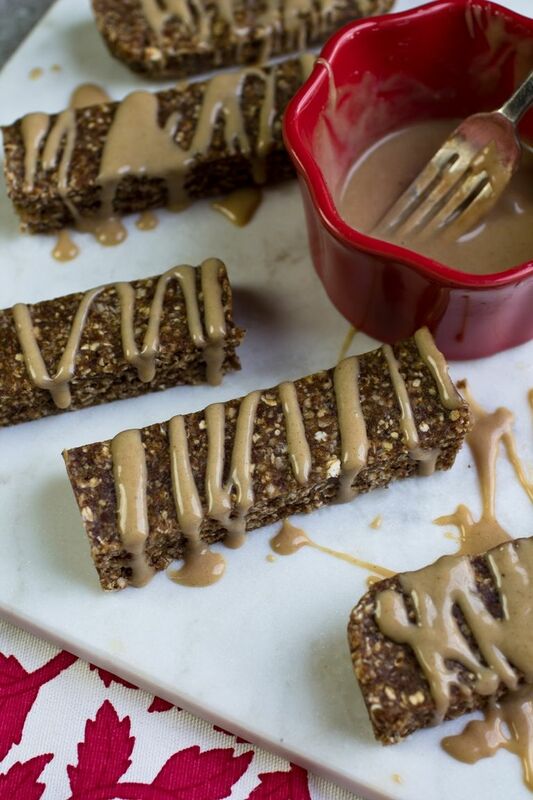 No-Bake Cinnamon Roll Spice Bars. More bars, more goodness! 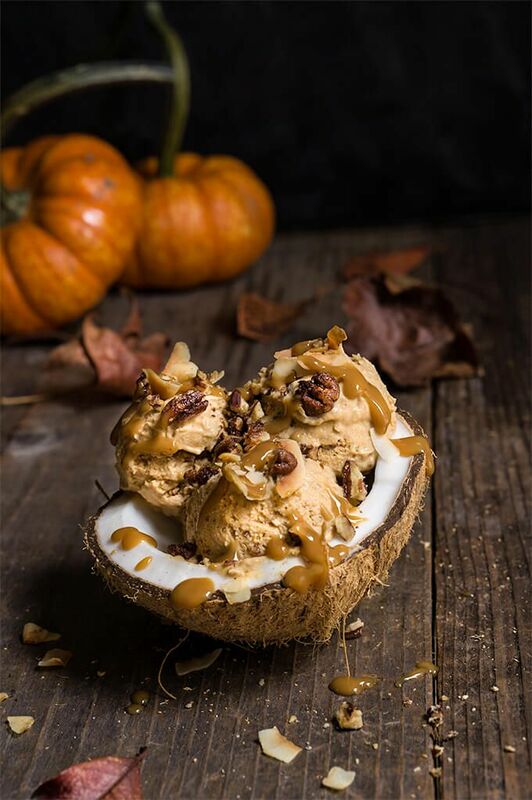 Pumpkin Ice Cream with Coconut Caramel + Praline Pecans. That is stunning! Snickers Caramel Apple Pops. This is such a fun treat! 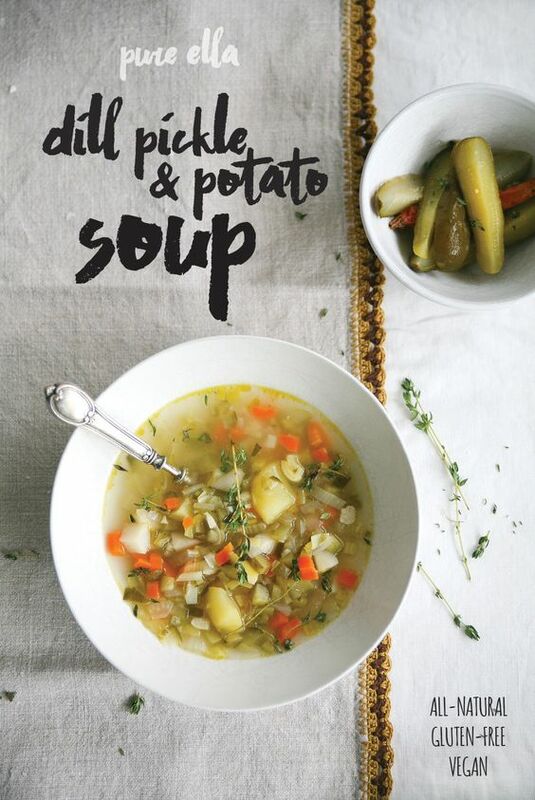 Dill Pickle Potato Soup. This sounds awesome! Right up my ally! 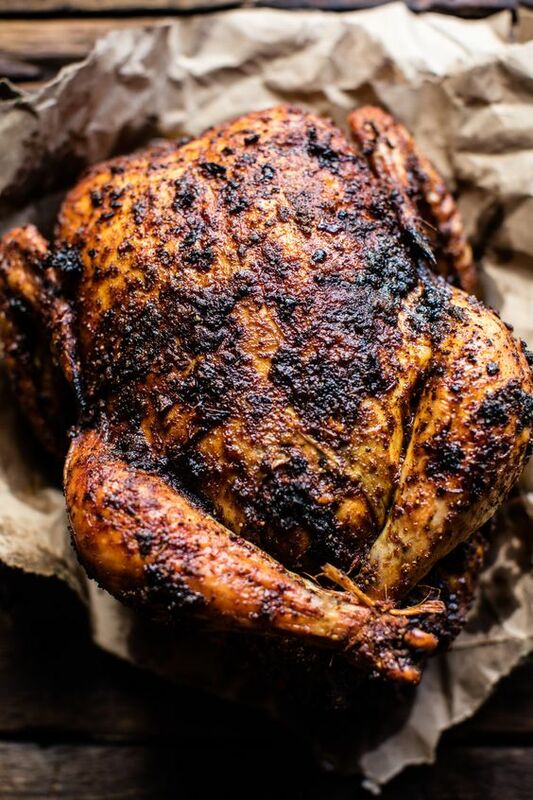 Magic Faux-Tisserie Chicken. That’s what I want on my Thanksgiving table! + At least the stressful studying is over! But not the work! + Any find Halloween festivities this weekend? Almond Joy is one of my favorite candy bars. I can’t wait to make a granola bar with those flavors. The pumpkin pecan cobbler cake looks like a keeper too! Those sure do look like so amazing recipes to try! Thanks Allie, you too! Hope you’re well! Yay for tests being over! I can’t believe that November is next month. I’m not ready to be done with October! 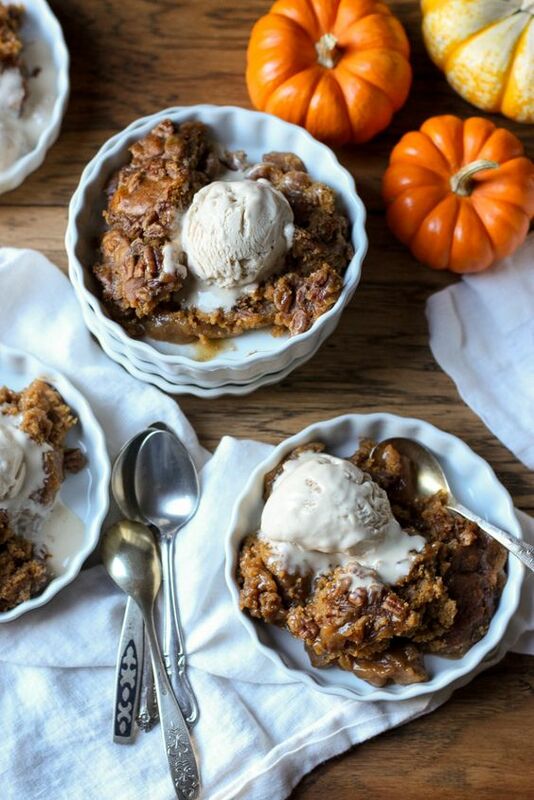 I need that pumpkin pecan cobbler in my life! Oooooooo, I have to try that cauliflower recipe with the Black Sesame Yogurt Sauce!! Good luck on your paper, I have an assignment due today but of course I am reading blogs instead. 🙂 Happy Friday! We give and take 😉 Lucky me, I just finished that paper a few minutes ago! WOOO! How does sneaking dehydrated veggies into frozen pizza make anyone healthier? How about feeding kids whole foods when they can start eating solids so they learn to love their vegetables. I did, and my kids ate almost everything as toddlers and beyond. Girls, I know! I was the one begging for brussels sprouts in my 1st grade lunchbox 😛 Veggies were loved and served fully and unhidden in out home. It’s the changing times. These past few years with the explosion of so much pressure and “talk” around food, has really messed things up! Haha, it does! And really…finals will be in such a short time too! It sure does! You too, my friend! I’m so happy that mid terms are over too but there is still lots of work to be done lol! At least we are not as stressed! 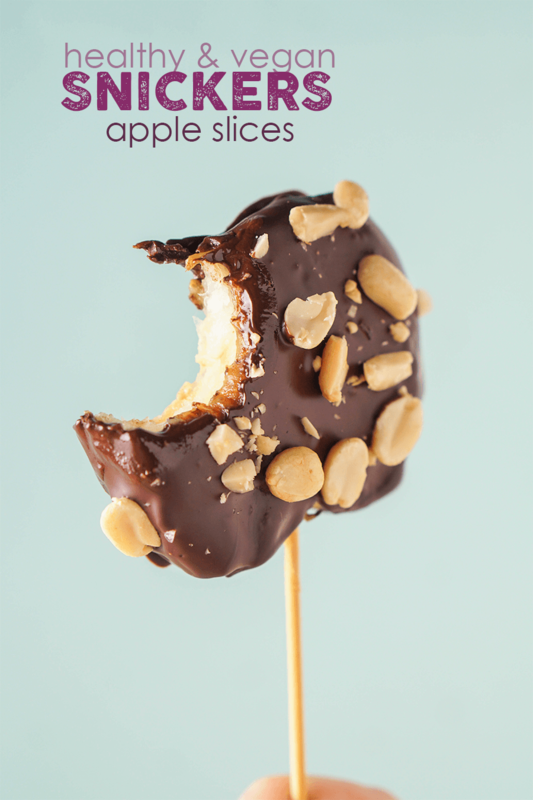 Those snickers apple slices NEED to be made NOW! Those apple pops should be our reward for midterms! I’m not big on Halloween movies because I’m a wimp, but I do love that old movie, Hocus Pocus. Have you seen it?